New videos out from the Anniversary shows! Fantastic!! I'm so mad at myself for not flying up for at least one of these. So awesome. Is anyone going to the run of shows they are doing at the Bowery Ballroom in December? Ive got 2 tickets for the show on Saturday December 5th, but have a family event that night and won't make it. If anyone out there is interested in trading their tickets for the show on Sunday the 6th for my Saturday tickets, please shot me a message! I couldn't find a trade partner so I ended up having to sell my tickets. Has anyone made it to one of the shows? Sorry you couldn't make it (and that I didn't see your post until now). Henry Rollins and Jeff Tweedy were special guests on Saturday. I'm going tomorrow night…looking forward to it. I hope you had a blast! Please give us a review when you have a chance!!! Damn. I would have loved to have seen any of those shows! Same here! There are some great videos out from the shows and I hope they're going to put together a DVD like they did for the Live Bug. Would love so see that! Theremin Jam with special guest Eugene Mirman was the start of the 2nd set. This was pretty strange…an impromptu jam that didn't really go anywhere. I guess the band and Eugene were amused by it. The band then played No Bones, Tarpit, and Start Choppin which was a strong sequence of prime Dino Jr. Next was Get Me with special guest Sharon Van Etten. I like Van Etten's music (saw her open for Nick Cave & the Bad Seeds at the Beacon in 2013) but she didn't do very well here…didn't know the song yet (had lyrics taped to the stage). Unfortunately some asshat in the crowd threw ice at her to show his disapproval. That was really uncalled for. 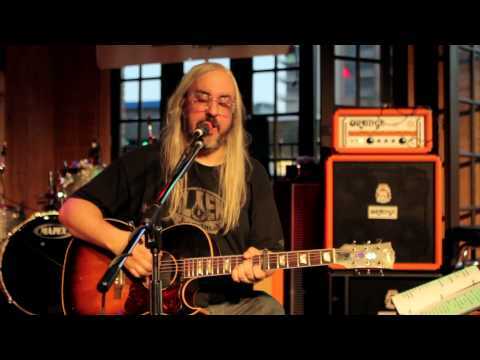 Dinosaur Jr then played a a solid version of Feel The Pain. Special guest Kurt Vile then joined in for Crumble which was quite good. Vile is a good guitar player and it was fun to hear him playing with J Mascis. Vile then left the stage and the band played Pieces. Kevin Shields then came out to do the My Bloody Valentine song Thorn with the band. After a few false starts they did a good version. Freak Scene then got the crowd going wild. Mike Watt then joined the band to play bass and sing lead on T.V. Eye and Fun House. There was also a saxophone player whose name I don't know. These were high energy covers of the Iggy & the Stooges classics. That ended the 2nd set. The band then came out for the encore which consisted of Cortez The Killer by Neil Young & Crazy Horse. Kurt Vile joined in for this song if memory serves. I saw Lee Ranaldo watching from the side of the stage but he never joined in on any songs. All in all it was a great night of music to celebrate 30 years of a fantastic band. 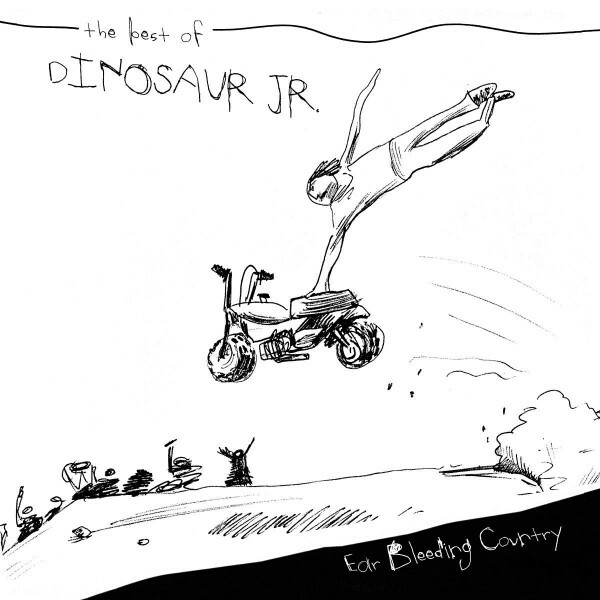 I'm on a Dinosaur Jr. binge right now. J plays guitar like no one else and writes incredibly interesting songs. Gotta bump this thread for anyone who hasn't given them a listen. This has got to be some of the best guitar ever recorded, IMO. Was where you are now, back in '93. Still not over it and still on a binge. I'm totally with you guys. I've tracked down all the relatively easy-to-find J and Dinosaur Jr etc stuff on vinyl (22 records plus the boxed set of the 7's) and hope to fill in the harder to find boots, etc. 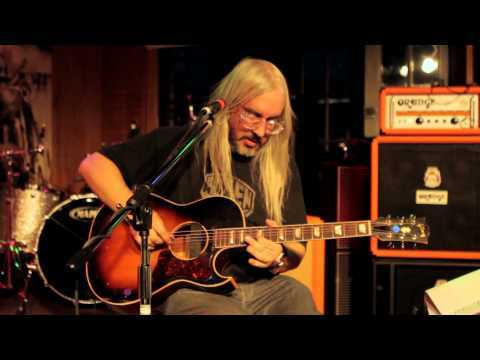 My latest regular Dino indulgence is has been "Dinosaur Jr.* In Session" (BBC recordings). The versions of "Bulbs of Passion" and "does it Float" are insane and a smokin' "Raisins". *Yes, the label mistakenly put a period after "Jr"
You can see/hear the entire crazy good performance here. Great sound and the camera guy gives us lots of great close ups of J's playing. Brian....I just can't get past Green Mind...just got overwhelmed with nostalgia. Take me back to 91 musically, but leave me here otherwise. I can see my younger self in a local Melbourne store....listening to this fantastic new band (new to me). Trying out CDs before you buy. Killing time waiting for train home from school. What a time....Nirvana, Pearl Jam, and all the others breaking out and J just delivering in, my book, masterpieces. The world was a safer and happier place. Where has 91 gone. Yes, Release EV, Green Mind is amazing. What a record! Yes, how things have changed. My nostalgia goes back to being able to walk into a record store and buy any new vinyl record for $5 U.S., sometimes only $2.99 on sale. Yeah I know, a LONG time ago, haha! But that was the 60's and we had no Dinosaur Jr or Pearl Jam or Nirvana or what ever the next great band will be (I wonder who?!) so it's good to be listening to great stuff in the 2010's! Yeah man. I was where I am at now in 93, too. There's just a lot more material to dig into. Been a fan for decades and I still feel like I'm hearing them for the first time. Thanks for the vids, Brian! Interesting about the period. A few of the studio albums have periods and the rest don't. I never gave it much thought. 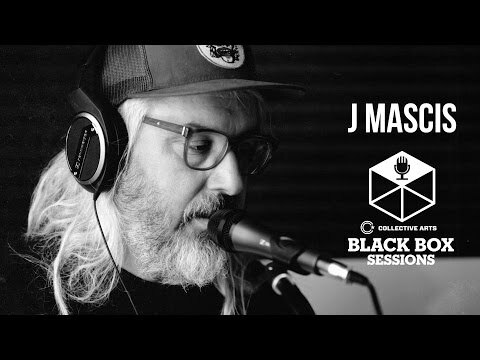 Just came across this interview with J, one of the best I've seen. These guys are having fun, J is loose and (for J) rather talkative and the jam on "The Lung" at the end is very cool! At last, Ear Bleeding Country is out on vinyl with some extras. Two record set, just arrived in the mail! This arrived on release day, great service from Cherry Red. Cherry Red records, from England. I believe there are a few on Discogs also. I had time yesterday to clean my new copy of Ear Bleeding Country and give it a spin. It sounds great! Much warmer than the CD and very solid sounding. PLUS, the double LP has great liner notes on the inside by Henry Rollins. A fantastic package! Is there more than previouly released, studio tracks on there? No, not really although it does contain a few tracks off of What Ever's Cool With Me which otherwise I believe is only available on CD, not vinyl, plus a song from J Mascis and the Fog's More Light which is getting hard to find and pricey on vinyl. All the rest are off of studio albums all the way from the first, Dinosaur, through Without a Sound. And everything is nicely remastered and sounds great! Besides Rollin's liner notes, the inner sleeves have earlier notes (I think those are on the CD but I can't remember because I got rid of the more harsh sounding CD). I think the new version CD was probably remastered and if so, probably sounds better than the original 2001 CD).